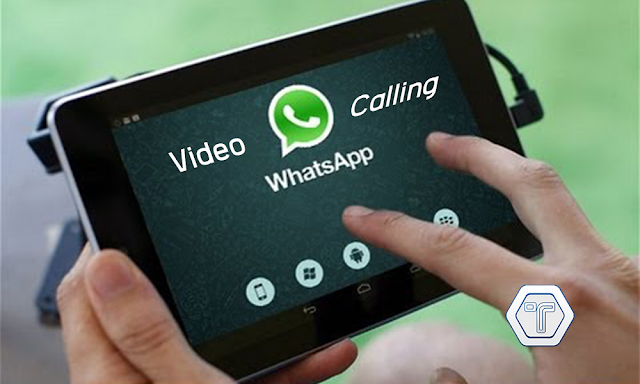 WhatsApp To Add New Video Calling Feature... Available For All Devices. WhatsApp has announced that more than one billion users will be able to make video calls on iPhone, Android and Windows Phone devices “in the coming days.” And to work out all the kinks, WhatsApp has been beta testing this feature over the last few months. This is a highly anticipated feature because WhatsApp users have been requesting it for years. When you receive the WhatsApp app update with the video calling feature, you can try it out by tapping on the call icon at the top right corner of a chat. After tapping on the call icon, you will be asked if you want to make a voice call or a video call. Tapping on the “video call” option starts up a video chat with that WhatsApp contact. If you have not received the app update yet, then WhatsApp will simply make a phone call to that contact instead of presenting you with both options. As you are using the video calling feature, you can switch between the rear- and the front-facing camera of your device. There is also a mute option if you do not want the receiver to hear what is being said through the microphone. And tapping on the red phone icon hangs up the call. One of the biggest advantages that video calling on WhatsApp has is that it is cross-platform as opposed to Apple FaceTime — which works on just iOS devices. Plus video calls made using WhatsApp are fully encrypted to prevent unauthorized access from snoopers. By adding the video calling feature, WhatsApp is now on par with other chatting apps like Facebook Messenger, Skype, Viber and Google Hangouts / Duo. “We’re introducing this feature because we know that sometimes voice and text just aren’t enough. There’s no substitute for watching your grandchild take her first steps, or seeing your daughter’s face while she’s studying abroad. And we want to make these features available to everyone, not just those who can afford the most expensive new phones or live in countries with the best cellular networks,” said WhatsApp in a blog post. WhatsApp is also in the process of adding two-factor authentication. According to Android Police, WhatsApp is already testing two-factor authentication in the latest beta versions of the app. This will provide an extra layer of security for the messaging service in order to curb identity theft. Last month, WhatsApp also added new camera features so that users could place emoji stickers or draw on photos and videos being attached to chats. Plus WhatsApp started supporting animated GIFs last month. Facebook acquired WhatsApp for $19 billion in cash and stock in February 2014 and the messaging app company has been operating independently since then. WhatsApp had around 50 employees at the time of the acquisition and now there are 200. 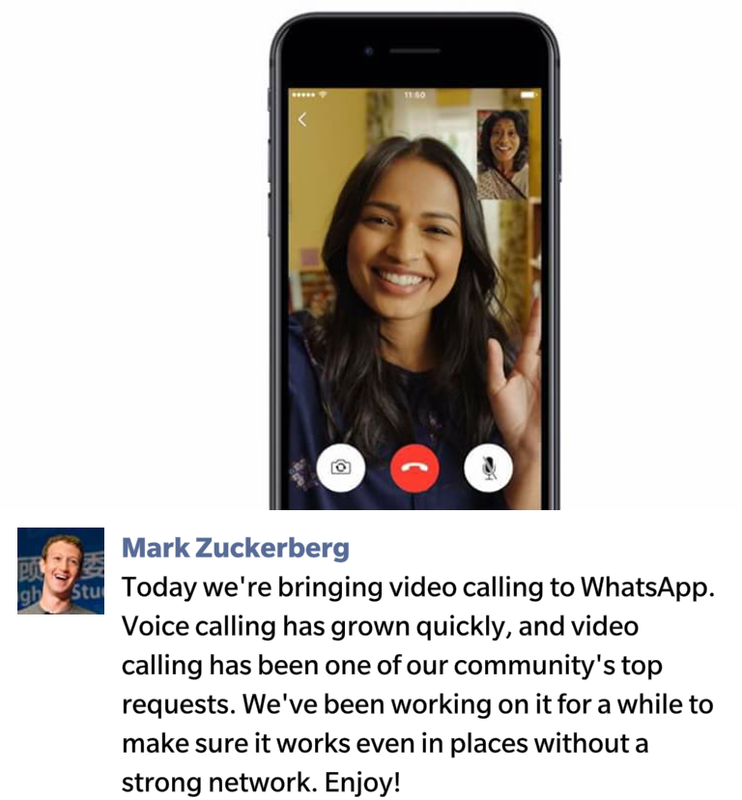 The bandwidth used to support WhatsApp’s voice and video call features are powered by Facebook’s servers said WhatsApp co-founder Jan Koum in an interview with Reuters.